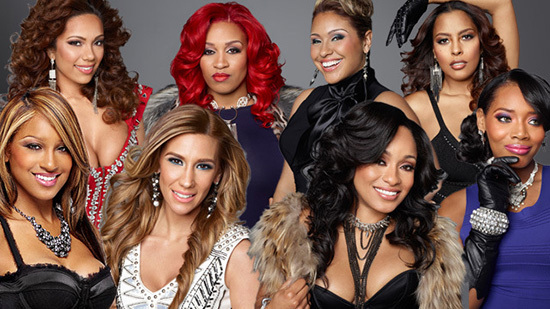 Love & Hip Hop New York Episode 9 recap...okay so it went down a lil something like this Tahiry, Jen The Pen, & Rashidah Ali have one thing in common and that's not liking Raqi Thunda and Rashidah can't wait to get to her to confront her spreading rumors about her infamous past. Lore'l linked up with Consequence to work on a song together but Lore'l was not feeling Consequence line about light skin females and while I was caught of guard once again starring at consequence teeth, I then had to refocus on what the problem was...smh terrible. Rich Dollaz finally grew some balls and realized that Erica Mena is using him and out for self...I mean you can't knock the girl hustle, but after his business partner, Olivia, his mother and the streets talking about Rich association with the model/artist Mena. Rich finally had to realize to cut Erica loose from not only their relationship, but also their business partnership. Last, looks like Mendeecees is ready to settle down with Yandy after she confronted him about his "past" relationships haunting her. Last week Rashidah Ali confronted Yandy about Mendeecees talking about their past love life and money affairs. Totally inappropriate if you ask me, but hey I guess he wanted to get it out first before Rashidah did...good move Mendeecees. Check out this weeks episode and look out for next weeks preview. Tell us what you think.